Well said Obi-Wan well said. I am one of those weak minded souls Mr Kenobi spoke of in this quote from A New Hope. I have loved Star War from the time I as little. I had piles of the old action figures as a kid and can vividly remember one day my Grandmother came to visit and got of the bus with an AT-AT for me. How awesome it that? I had that old Millennium Falcon figure case which they are using. Well like I Ben Kenobi said all those years ago "The force can have a strong influence on the weak minded"
Hah! I might have one of those old MF cases from way back. I might have to get the same thing done with one of them. . . . I picked up the KR Multicase X-Wing foam. 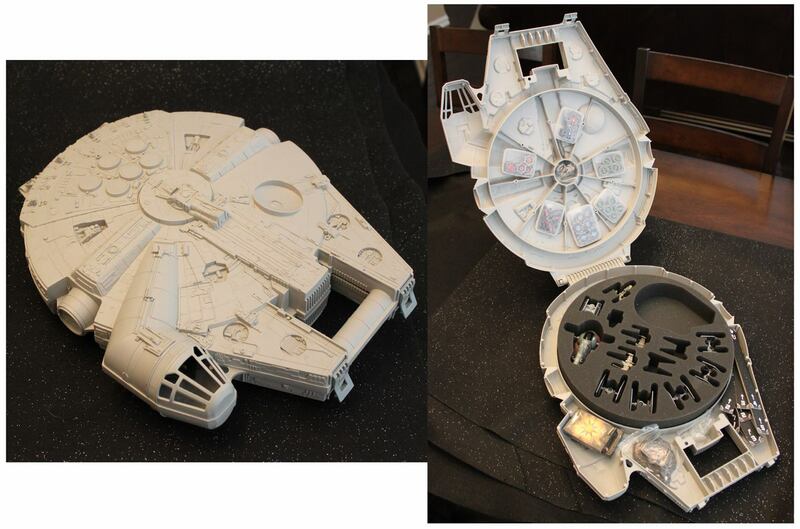 Works great, but definitely lacks the nerd-factor that the Falcon case has. I have two starters, an A-wing, TIE Advanced, Slave I and the Falcon. Still have room for 12 more ships in the case. I've only got a couple of games in, but I have a buddy that wants to be introduced to the game, as soon as we can schedule some time. Nice I will have to take a look at your KR case at some point. I have two starters, 1 tie fighter, 1 x-wing, 1 y-wing, 1 tie advanced, slave 1, the falcon, tie interceptor, and an a-wing. I have played like two games with mu buddy up the street but looking to get more in. We should play some here soon. That is simply BA! Well done. We Got Mail WeGot Mail...YAY!